"The opportunity here is to bring them to thier knees. Then we'll be in a better position to dictate terms." 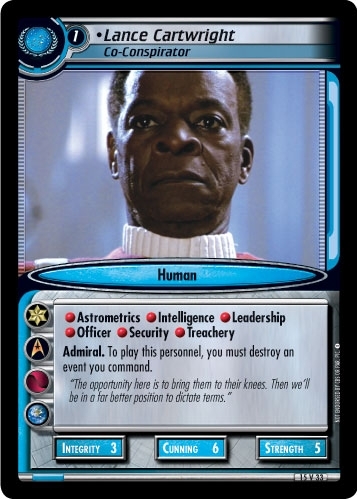 Characteristics: event related card, destroy an event - you command, affiliation, Earth related, The Original Series related, Past related, Admiral, Human species.